Three piece plaster mother mold with inner rubber mold and wax core. 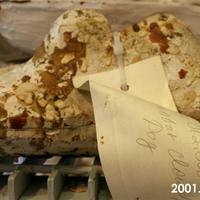 "Acrobat Clown Dog" in red marker written on the mold. 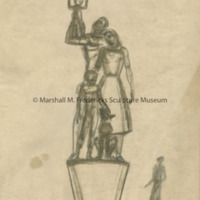 Photostatic copy of sketch for "The Spirit of Detroit"
Dog mold for Romance of Transportation. 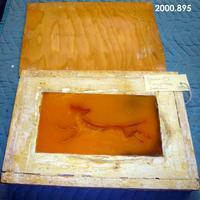 Plaster mother mold with amber colored rubber mold. 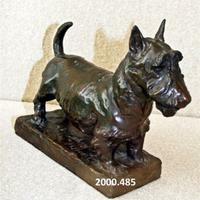 Sepia print of sketch for "The Spirit of Detroit"
Small bronze Scottish Terrier dog. Mari Scot is readable on base under dogs belly. 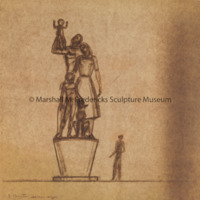 Marshall used this as a bookend in his studio. 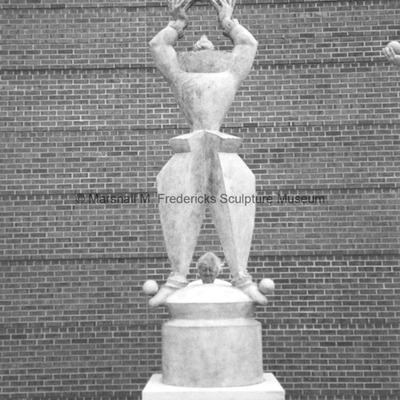 Acquired, according to Michael Panhorst, in 2000 for $4000.00, paid for out of Roz Fredericks Trust Fund. Only one cast was ever made. 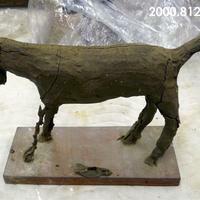 It is an early cast as no mold or model exists today. Clay dog head for acrobat clown. 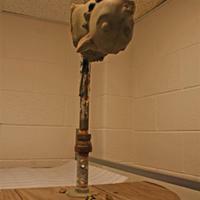 Head is on a metal pipe, used as an armature, attached to wood board. 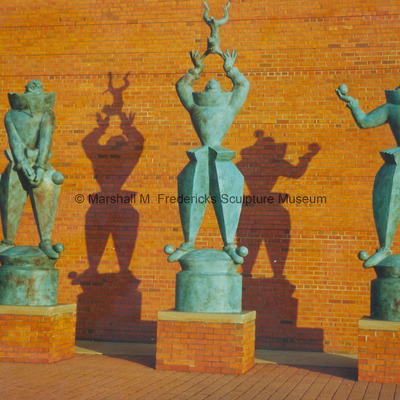 Bronze “Clowns” - includes: "Acrobat", "Juggler" and "Lovesick Clown (Pagliacci)" at Saginaw Valley State University. 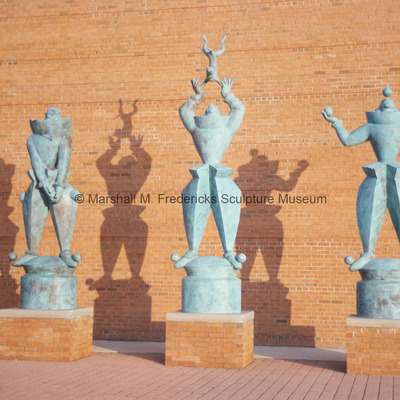 Bronze "Acrobat" – one of the “Clowns” at Saginaw Valley State University.